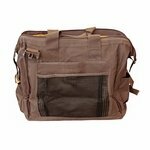 GWR Handlers Bag by Mud River -- Brown. $49.95. "Big enough to handle all my gear"
Well made, and big enough to handle all my gear. Good value. "Perfect size. I like the orange liner." Perfect size. I like the orange liner. It makes it very easy to see all of my items. It is a great bag. Just wish it came in black, so it wouldn't show the dirt, etc. so much. Great bag, holds all my dummies, launchers, e-collar stuff. Lots of pockets for whistles, blanks, calls, etc. Good design, well built bag that will take some abuse. Great bag for the price. Perfect for what I needed, got a pocket for everything. Great quality. 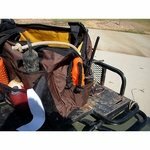 Have used the Mud River kennel covers. 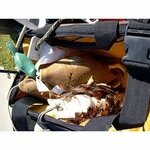 The handler bag has the same quality and function ability. I have really enjoyed this bag so far. 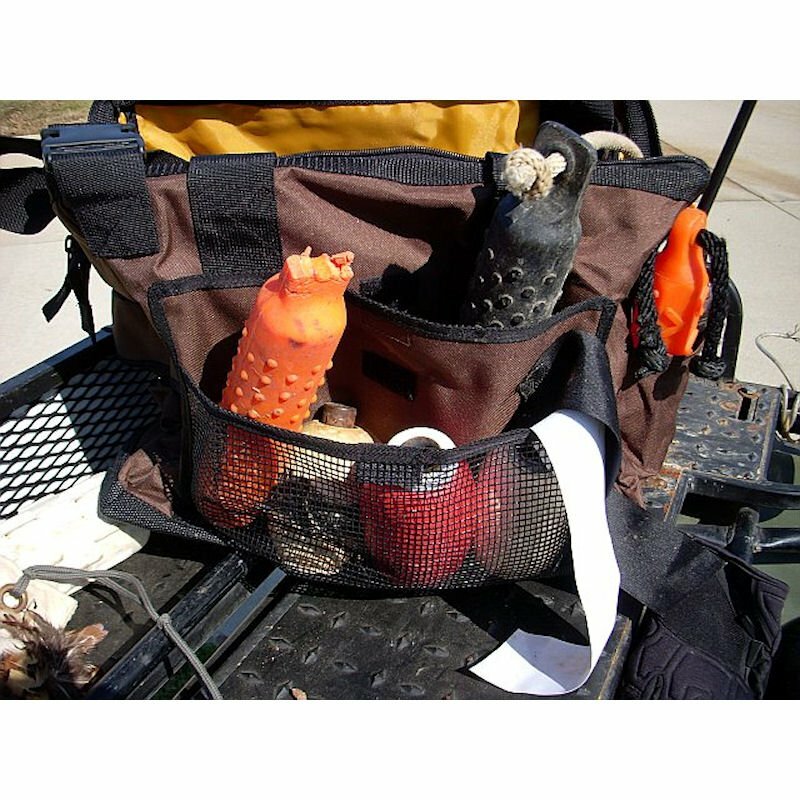 It can hold all of my bumpers in the main bag, plus frozen birds (Chukar and mallard duck). 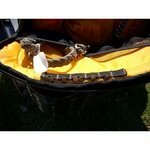 I can fit my gloves, E-collar and bird scent in the other pouches, and I still have room to spare. 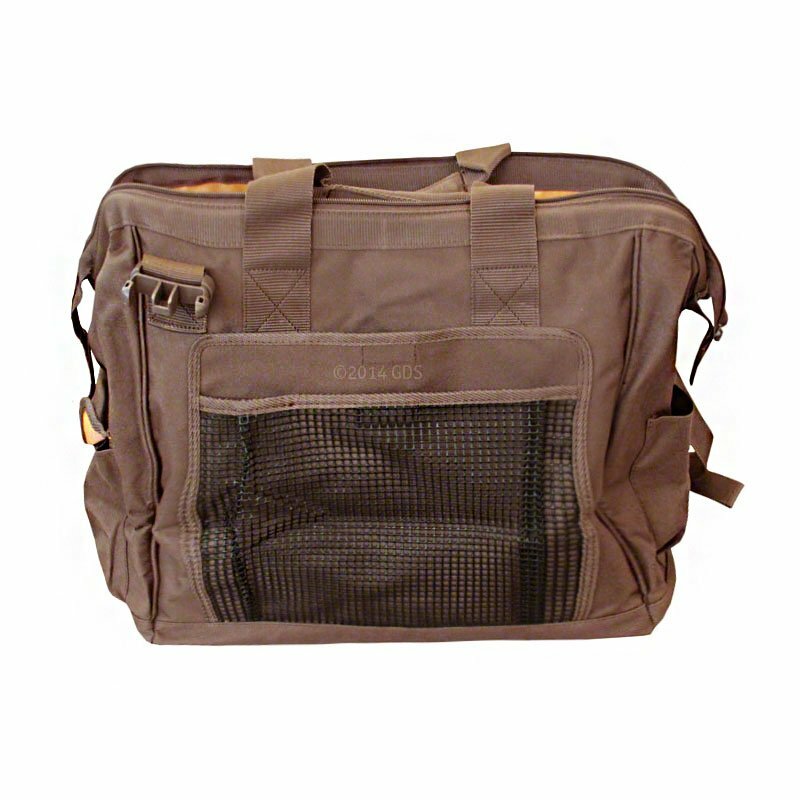 This bag is a must have if you train or travel with you dog. Excellent product. Well made. Plenty of pockets and storage to keep items secure, but easy to access and find things. This bag will last quite some time. Well made. A pocket for everything. "This bag is everything that it is described." This bag is everything that it is described. 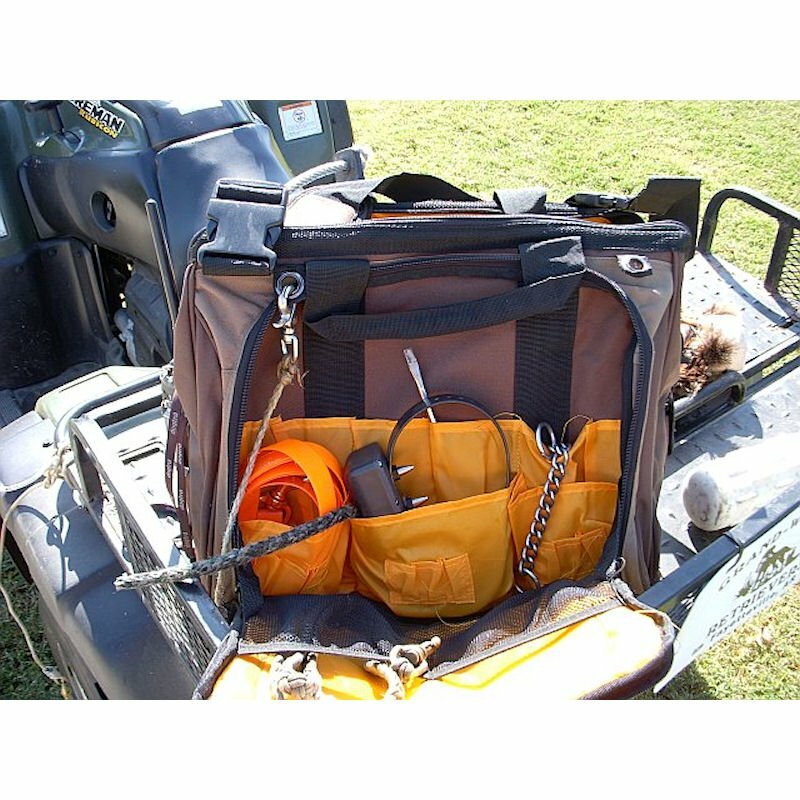 Great quality bag with plenty of pockets and space for all my training equipment while in the field or on a trip. I am very picky when it comes to things that I purchase and wish I would have bought the bag sooner. "Extremely pleased with this purchase and as usual the turn around time to receive the product is second to none." Exactly what I was looking for to hold and organize the things I need daily. 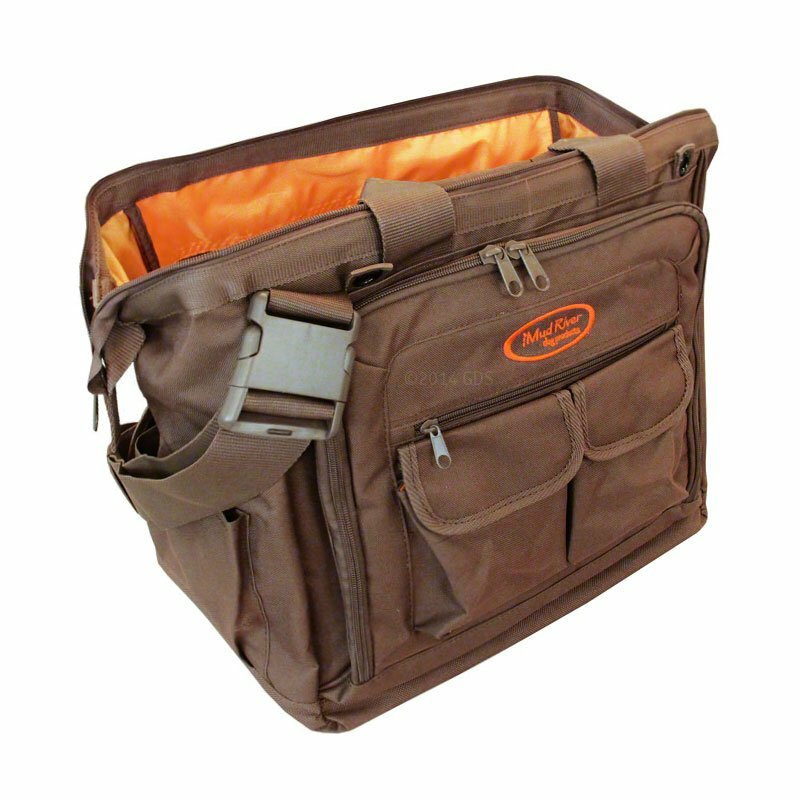 It's also big enough to not only hold your hunting supplies, but it also can fit my pants and vest for a day trip. Extremely pleased with this purchase and as usual the turn around time to receive the product is second to none. 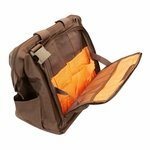 Item shipped quickly, and it's a great bag! I love this bag! It will hold e-collars, remotes, chargers, training dummies of all shapes and sizes, whistles, leashes, towels...you name it. Our training sessions are much more efficient since I'm not wasting time looking for stuff! "Great bag for all occasions and all weather." 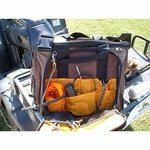 Great bag for all occasions and all weather. 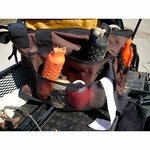 Many compartments to store large, small, wet and smelly items. Would love to have it monogrammed. 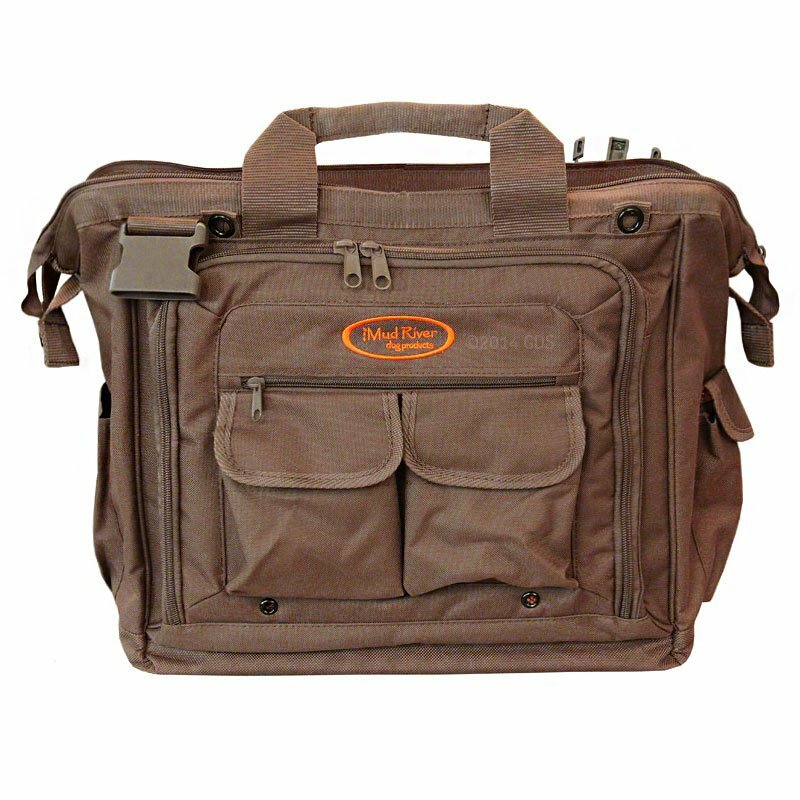 "Finally a great bag to hold all Rascal's stuff"
Finally a great bag to hold all Rascal's "stuff". "More room than I know what to do with"
More room than I know what to do with. A lot of storage and pockets. "It looks to be a well made bag." It looks to be a well made bag. It is larger than one really needs. "Overall, it grows on you and is better than anything yet." Great bag. Had to get used to the large center area and how it zips up. Organization in the side pockets is fair. The inner orange colored pockets are a little flimsy. Replace with bullet proof stretch mesh, and you would really have something. Overall, it grows on you and is better than anything yet. Nice bag looks like the outside will hold up nice. Interior lining looks very thin too me not sure it will last. Only time will tell. Specifically designed to be one of the most versatile, user friendly, and efficient training bags on the market. 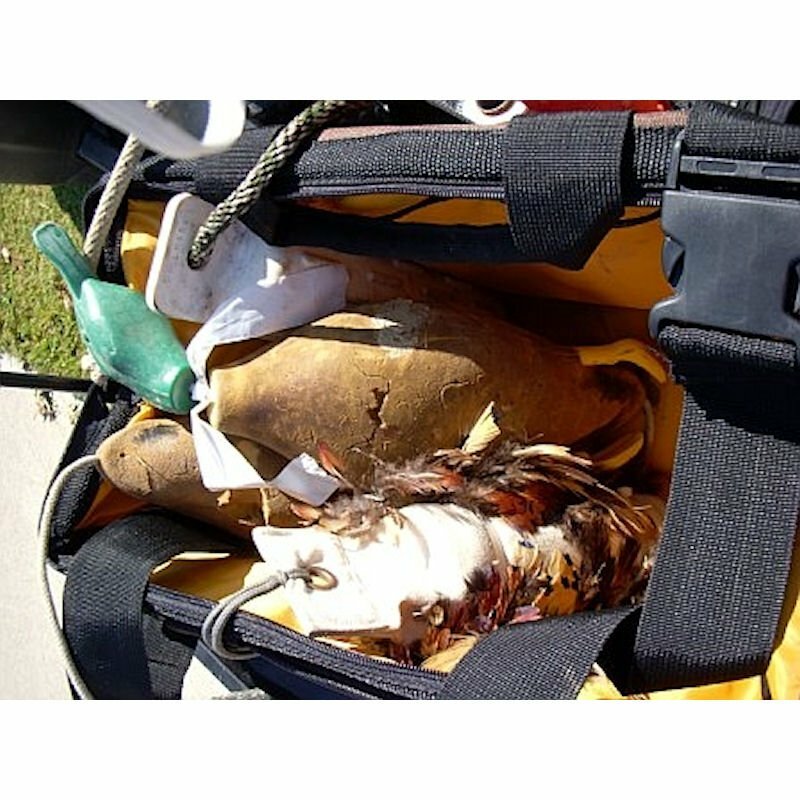 With the help of professional trainer Patricia Higgs, the Mud River GWR Handlers Bag was specifically designed to be one of the most versatile, user friendly, and efficient training bags on the market.